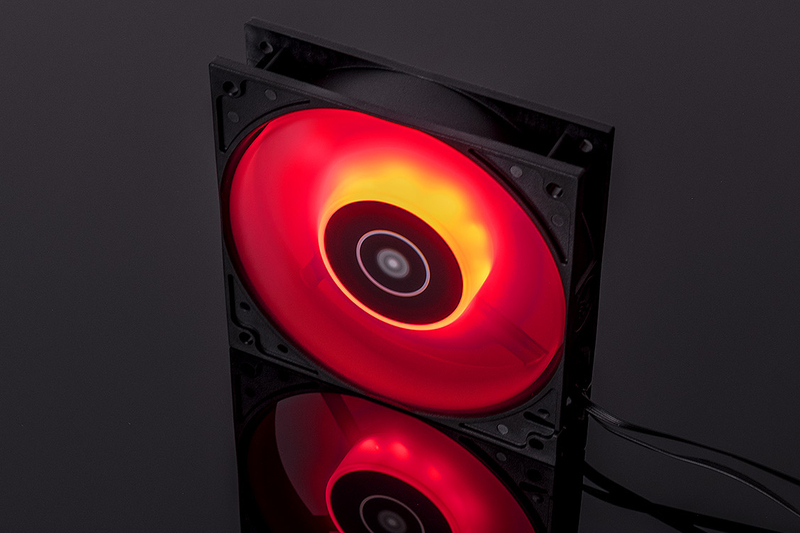 EK® is finally releasing new Vardar fans with vibrant RGB lighting features! EK Water Blocks, the Slovenia-based premium computer liquid cooling gear manufacturer is releasing a new 120mm RGB version of its renowned EK-Vardar fan. 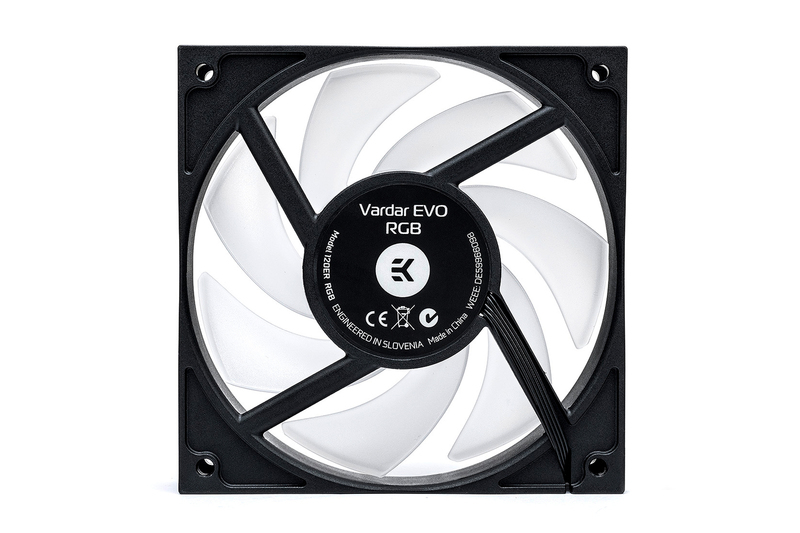 Developed in-house and first introduced in 2014, the EK-Vardar fan is now also available as EK-Vardar EVO 120ER RGB. Beside the RGB lighting effect, the new fan also packs the Extended Range (ER) of PWM operation feature and the special Start-Stop function which brings a true 0dB experience for the absolute silent fan operation. 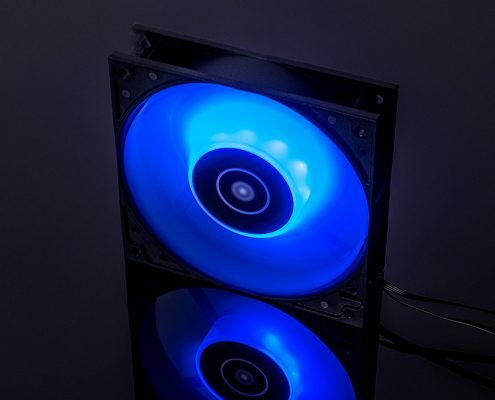 The electronics of the new EVO 120ER RGB fan has been specially tweaked so that the fan stops spinning if the PWM signal falls below a certain duty cycle value. 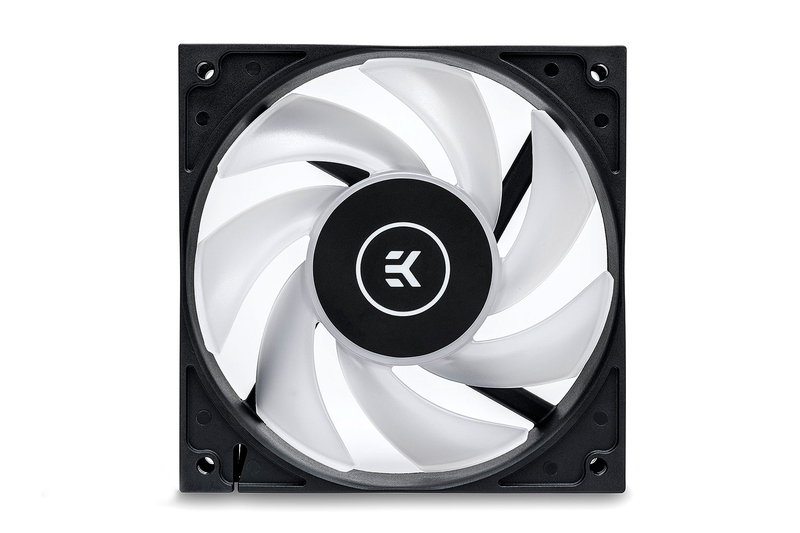 Not only will you be able to enjoy a totally silent PC, but this feature is also very useful for preventing radiator dust buildup in idling PCs and prolongs the lifecycle of the fan itself. 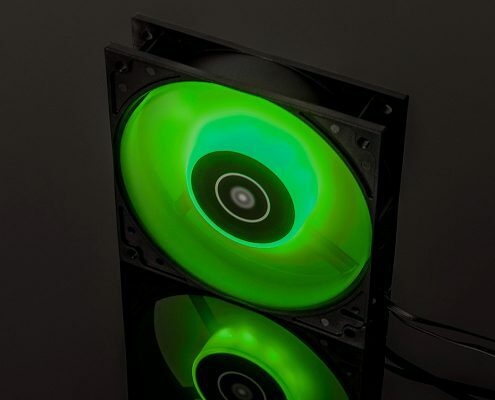 The EK-Vardar RGB is a high-static pressure computer cooling fan, designed and built primarily for highest-performance computer liquid cooling systems. 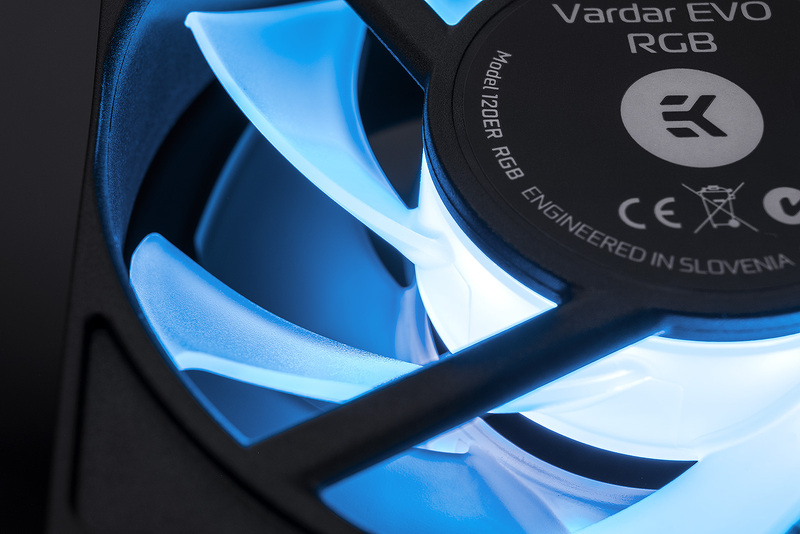 The Vardar family of cooling fans carries the notorious name of a type of the cold northwesterly wind blowing from the mountains down to the valleys of Macedonia. It is a type of ravine wind, enhanced by a channeling effect while blowing down through the Moravia-Vardar gap, bringing cold conditions from the north to the Thessaloniki area of Greece. Most frequent during winter, it is blowing in the rear of a depression when atmospheric pressure over eastern Europe is higher than over the Aegean Sea. Dual-Ball Bearing for enhanced reliability and Start-Stop Function for Complete Silence! The Start-Stop function featured with the EK-Vardar EVO 120ER RGB models will ensure the user a true 0dB noise environment. 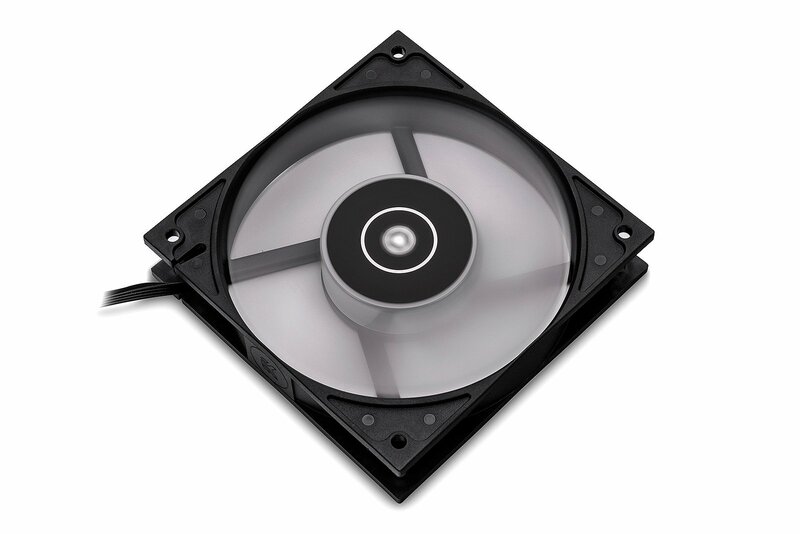 When fan curve is set with the minimum threshold point below 25-30% PWM duty cycle (depending on motherboard model), the motor and the electronics will turn off and the fan will simply stop spinning. EK-Vardar EVO 120ER RGB restarts operation automatically as fan control ramps up its operational duty cycle past threshold start-stop point. EK-Vardar EVO 120ER RGB models also feature Dual-Ball bearing which has superior durability compared to Hydro-Dynamic bearing. Dual-Ball bearing fans can tolerate higher temperatures and can be mounted in any axial orientation without concern for bearing lifespan degradation. High-quality motor and bearing assembly – New electrical design, actively cooled motor windings and the Dual-Ball bearing with 50.000 hours of lifespan (MTBF) ensures uninterrupted operation for years to come. Precise Pulse Width Modulation (PWM) for fan speed adjustment allows performance on demand. 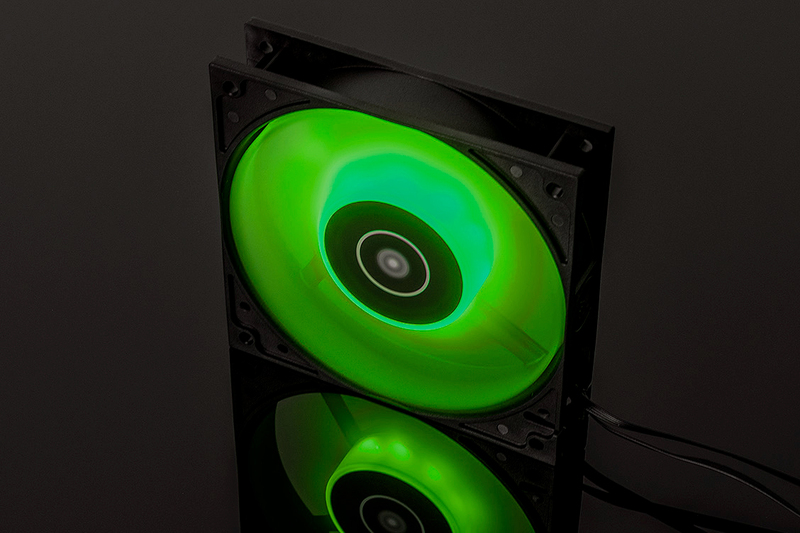 The EK-Vardar EVO 120ER RGB fan is designed and engineered in Slovenia by EK Water Blocks and is already available for purchase through EK Webshop and Partner Reseller Network. In the table below you can see manufacturer suggested retail price (MSRP) with VAT included.